We can help. Call or make an appointment online to get started. your chiropractor in Santa Monica. Call us today at (310) 993-8482 ! Santa Monica chiropractor Eric Nepomnaschy, DC at Bay Chiropractic & Rehabilitation is committed to providing pain relief for many symptoms and conditions so that you can have a higher quality of life. At our Santa Monica chiropractic office you will receive the best care through the use of modern chiropractic techniques and technology. Dr. Eric Nepomnaschy and the staff at Bay Chiropractic & Rehabilitation have a genuine concern for your well-being and health! Call us today and we can develop a chiropractic plan specific for you. Chiropractic manipulation/mobilization - includes diversified, blocks, activator/arthrostim. Here is a short list of conditions commonly seen in our office: neck pain, back pain, sciatica, pinched nerves, whiplash injuries, shoulder pain, headaches, auto accident injuries, sport injuries. Dr. Eric Nepomnaschy has been freeing people from pain in the clinic in Santa Monica, CA. 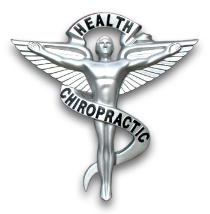 As a Chiropractor with experience, Dr. Nepomnaschy is committed to promoting optimal health and well being of patients.